For those of you like us at Land of Technology, that have been waiting to get something like Paranoid Android’s HALO notification feature, might want to check out “floating notifications” Alpha 3. 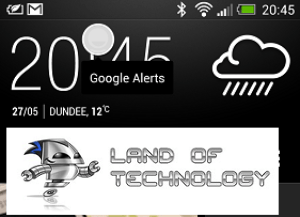 XDA member crazyfool_1 has brought this HALO-like notification app to us for free through his XDA thread. He stresses that this is not HALO, but it is a very similar looking function like HALO that should satisfy us as we wait for actual feature to be ported over to our devices. Setting up is very easy. You will click over to his thread and download the apk file. 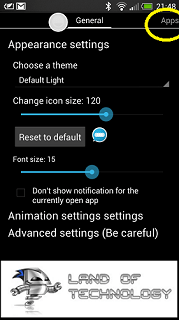 Once it is installed, you will go into the Settings >> Accessibility >> Floating Notifications – Turn it on. Then go into your apps drawer and tap Floating Notifications, at the top you will see General and Apps, tap the Apps and a list appears, tap which apps you want to be activated by Floating Notifications in the square box. 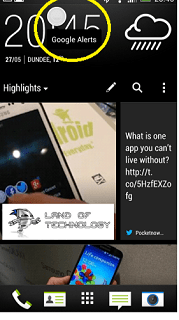 See the pictures, they all have the yellow circle where the pop-up is or where to look. 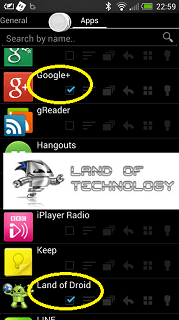 The pop-up bubble that you will see once you receive a notification, now pops up with all your apps when you receive a notification like, Mail, Text, even cloud based apps. When you tap the bubble it opens a little speech bubble UI underneath it. At first you get two bubbles are already popped up and once I tapped on them, it mentioned that they were both test bubbles. Simple way to get rid of them is to just double tap the bubbles and those notifications will disappear. So head over to the XDA thread provided below to grab the apk file. Let us know how much you guys like it. If you already have Alpha 2 installed you must delete it before installing Alpha 3.